Looking to get professionally printed business cards without the big price tag, and save some money designing them yourself? Check out BMD Business Services. BMD Business Services launches it's new website with a friendly appearance that's easy to navigate and loaded with information. 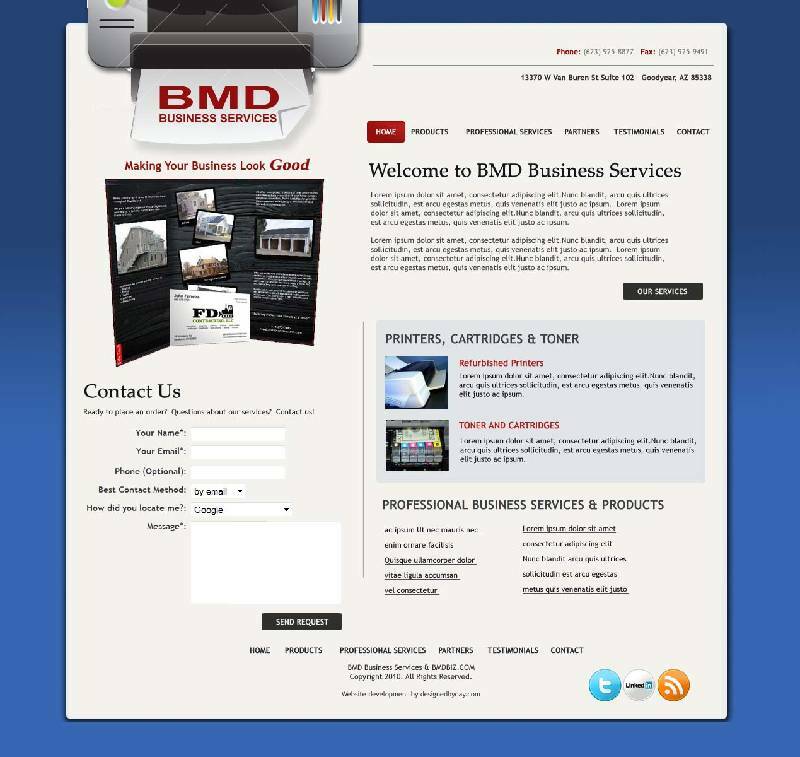 What's even better is BMD Business Services new online design center. Now you can quickly and easily choose from dozens of templates to create professional looking business cards right through BMDBiz.com and have them printed at a great price. Need stationary or letterhead? Car magnets? BMD Business Services provides a boatload of professional looking templates for all kinds of brochures, stationary and other promotional items. Be sure to check them out and contact Brian with any questions or for a custom quote.